Home Poultry Facts Feeding Why do we need low protein meat chicken diets? Why do we need low protein meat chicken diets? The current level of protein used in meat chicken diets is linked to various issues observed in the industry including feed cost and feed efficiency, health and welfare concerns, and negative environmental impacts. This review covers the benefits of low protein diets and how they can be extended into industry with use of feed additives and management. 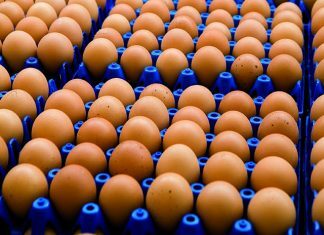 The implementation of low protein diets will contribute to the sustainability and efficiency of the poultry industry. The meat chicken industry is growing rapidly as a result of an increasing population, relatively low production costs and excellent marketability with regards to affordability, sustainability and minimal religious restrictions. Poultry diets with lower crude protein (CP) have generated global interest from the meat chicken industry due to the benefits concluded by published literature. Low protein (LP) diets have been identified to lower feed costs, improve feed utilization, reduce environmental impacts, and minimise health and welfare concerns. 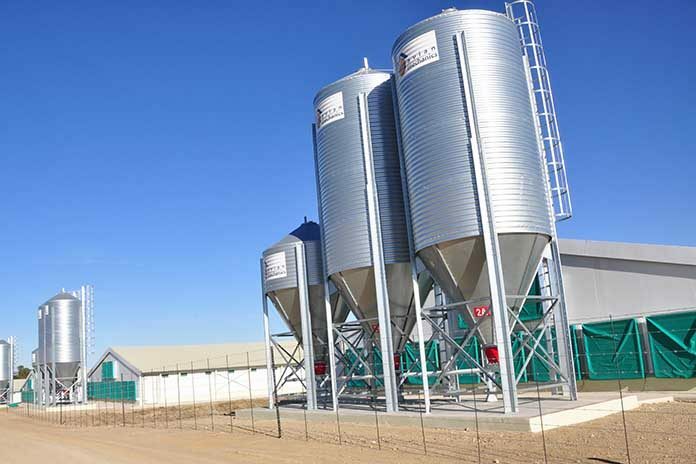 The current CP levels used in the poultry industry contribute to higher feed cost Poultry feed is not only the most expensive component of chicken production but, with 287 mmt of poultry feed produced globally in 2016, any unnecessary costs incurred are significant. To satisfy the nutritional requirements of meat chickens and meet production goals, minimum levels of digestible amino acids (AA) must be presented in the feed. In poultry diet formulations, grains can make up half the CP content; the remaining digestible amino acids requirements are achieved with protein meals and crystalline AA. Protein meals supply a broad range of amino acids while crystalline AA are used to meet specific AA requirements. Compared to other unprocessed feed ingredients, these products require manufacturing from raw materials, adding to their overall cost. Crystalline amino acids supplements are becoming more affordable, enabling the practical extension of LP diets in industry. Protein meals present inconsistent nutrient profiles: they are known to contribute to health issues and are linked to negative environmental impacts. Both fish and meat and bone meals vary in amino acid digestibility between batches due to inconsistencies in source and manufacturing. Batterham et al. (1986) observed a decrease in lysine availability in meat and bone meal from 93% to 86% and 31% with application of heat (125°C and 150°C, respectively) over four hours. In 2000, use of meat and bone meal in animal feed was banned in the European Union, following transmissible spongiform encephalopathy outbreaks, restricting meat and bone meal use in poultry feed. Animal derived protein meals have also been identified as a predisposing factor for necrotic enteritis and are subject to oxidative rancidity, impairing chicken health and efficiency. Soybean meal (SBM) is the most widely used protein meal in the poultry industry due to its ideal nutrient characteristics. In 2015/2016 Australia imported 775,000 tons of SBM compared to local soybean production of only 27,000 tons. Importing SBM from the US, Argentina and Brazil includes transportation and importation costs and biosecurity and customs regulations not incurred for domestically produced ingredients. SBM produced in Brazil can be associated with tropical deforestation, a result of grazing cattle being pushed into forested areas to enable soybean production in grassland areas; this is of consumer concern and reflects on industries that use this product. Australian canola meal, a plant based protein meal, is lower in energy compared to SBM and contains anti-nutritive components including glucosinolates, tannins and phytate, which restrains its use in poultry diets. Digestible amino acids are known as expensive nutrient requirements in meat chicken diets. A review into existing requirements and reducing industry dependence on current protein levels will help reduce environmental impacts and improve bird health, feed cost and feed utilization. Excess CP can overload the gastrointestinal tract (GIT) with excessive amino acids, peptides and undigested protein. This overload impedes feed efficiency, contributes to health and welfare issues and adds to negative environmental im Excess amino acids presented in the diet are absorbed and catabolized, producing higher levels of N excretion in the form of uric acid. Improved feed utilization can be achieved by improving N retention. Belloir et al. (2017) investigated the effect of dietary CP on N retention. Birds fed diets containing 150 g/kg CP achieved 70% N retention in comparison to birds on the 190 g/kg CP diet achieving only 60% N retention (r = 0.86). Reducing dietary CP can improve N utilization. Dietary protein content is correlated with water consumption and excretion, which leads to wet litter at higher dietary CP levels. Higher water consumption may result from the sodium dependent amino acids transporters drawing water across the lumen with greater amino acids absorption. Wet litter occurs as a result of increased water excretion and water spillage from more frequent visits to the water lines. Wet litter is known to cause dermatological diseases such as foot pad dermatitis and cellulitis. Skin infections are the main causes of carcass and chicken paw downgrade, reducing the yield of the meat chicken industry. Undigested protein that exits the small intestine acts as a substrate for the bacterium Clostridium perfringens in the hindgut, a pathogenic bacterium responsible for necrotic enteritis. The combination of the higher N waste levels, odorants and wet litter, that are associated with higher CP diets, creates an optimal environment for disease and infection. These have all been reduced with LP diets, lowering the risk of disease and improving animal welfare. 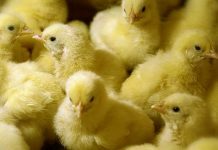 With the removal of antibiotic growth promoters from poultry diets, the risk of necrotic enteritis and other diseases will increase. Any disease preventative measures, including reduction of dietary CP, become increasingly important. N wastes have become a focus of environmental sustainability due to their impact on waterway pollution and ecosystems. Reducing dietary CP further promotes the sustainability and marketability of the poultry industry. Improving industry sustainability with low protein diets comes from reduced water intake and N excretion. Decreasing industry dependence on dietary CP improves the health and welfare of meat chickens by improving living conditions as well as feed utilization. The health benefits of LP diets must also be considered with future regulations on antibiotic growth promoter use. To remain an efficient and sustainable production system, the industry must consider concepts such as LP diets. In order to achieve the widespread use of LP diets in the meat chicken industry, several methods must be investigated. Supplementation of crystalline essential amino acids such as D,L- methionine, L-lysine HCl and L-threonine to balance the digestible AA in intact protein, reduces dietary CP to the current levels observed in poultry diets. One method of maintaining performance with LP diets involves using an ideal amino acid ratio to ensure minimum amounts of AA are offered in the required quantities and ratios without overloading the gut with excess protein. A study conducted by Belloir et al. (2017) found that the use of an ideal amino acid ratio described by Mack et al. (1999), with modifications to arginine and threonine, did not negatively affect performance in diets at 190 and 170 g/kg CP. In conjunction with ideal amino acid ratios, other crystalline amino acid supplements such as nonessential AA have also been investigated. Maintaining performance with diets containing 160 g/kg CP has been achieved with the use of crystalline essential AA and glycine. Many studies consider both glycine and serine (Gly + Ser) levels in LP diets due to their interconversion in vivo. 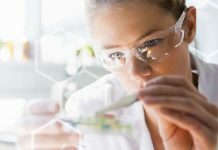 Glycine has been thought to become limiting in LP diets because of its involvement in uric acid synthesis and the prominence of glycine in collagen and other important proteins such as heme. Optimum levels of Gly + Ser are yet to be agreed upon, with Schutte et al., (1997) suggesting 18 g/kg, while Dean et al. (2006) concluded that total levels need to be 23 g/kg and that lower levels of CP require higher levels of Gly + Ser. The requirement level of Gly+Ser must be confirmed for the successful adoption of LP diets in the poultry industry. Methods of improving nutrient digestibility must also be considered. Protease is an enzyme which increases the digestibility of CP so this additive must be considered in LP diets. Angel et al., (2011) maintained bird performance at 205 g/kg CP with addition of monocomponent protease at a minimum of 200 mg/kg. Use of insoluble fibre and intermittent lighting have improved gut health and function by increasing GIT content retention time. These materials and practices may also contribute to maintaining performance under low CP diets, although more work is required to investigate their effects on N digestibility. The use of ideal amino acid ratios, crystalline amino acid supplements, proteases and gut enhancing materials and practices will contribute to the employment of LP diets in the industry. This adoption of low protein diets will have benefits in production and costs while addressing health, welfare and environmental issues. The extension of low protein diets in the poultry industry promotes a decrease in feed costs, environmental, health and welfare issues and an increase in N utilization with proper dietary formulation. These benefits will result in an improvement in environmental sustainability and marketability of the meat chicken industry. Low protein diets have the potential to contribute to the successful adoption of antibiotic free animal production, reducing predisposing factors to disease. LP diets can be achieved with crystalline AA, proteases and GIT enhancing practices. 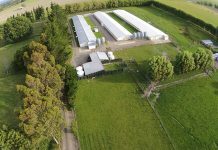 However, LP diets require further research to make their extension practical, profitable and worthwhile for the Australian meat chicken industry.